Maybe it's a good thing this year's event got cancelled? Since 2000, Monarch Mountain in Colorado has hosted its usual pond skim event that houses the usual riffraff of Canadian Tuxedos, Hawaiian shirts, and liquid confidence. 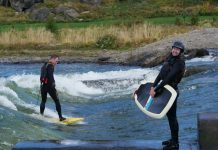 But it’s always had has a twist: it swaps out the skis and snowboards for kayaks, sending both seasoned and first time boaters (who just don’t seem to have the patience to let the snow melt) careening out of control down the slopes. But not this year, with low snowfall forcingt organizers to cancel the event for the first time in 18 years. Maybe it’s a good thing this year’s event got cancelled? 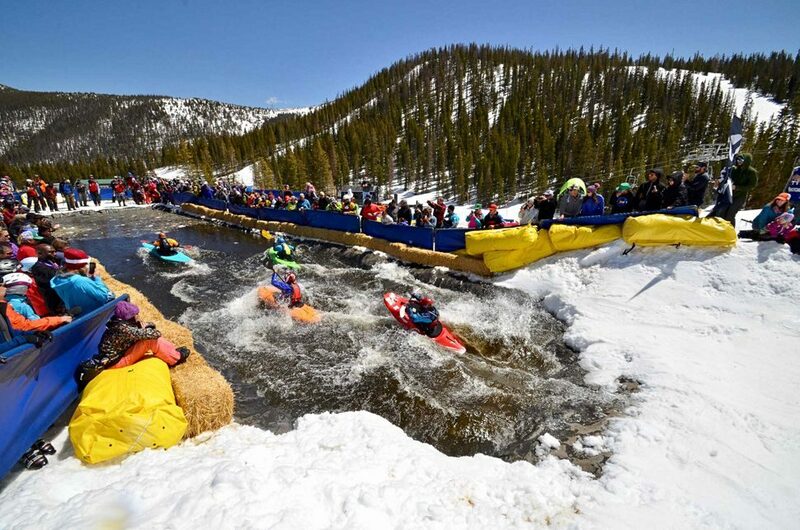 Drawing crowds of locals coming to witness the inevitable carnage, participants strap into their kayaks and gun down a snowy track consisting of 20-foot bank turns, a 50-foot long halfpipe, and a manic paddle across a snowmelt pond into the finish. Simple enough it seems, until it becomes a race with egos, bragging rights, and gambled beer on the line. The race is single elimination sending heats of four boaters at a time, and weeding out contestants until a single, unbeatable boater emerges from the rests. Over years past, the event has seen it all. One year a participant on a raft flew off the course and slid all the way into the parking lot, effectively banning all boating crafts except kayaks. Broken noses and collarbones over the years, help keep participants humble in their abilities. 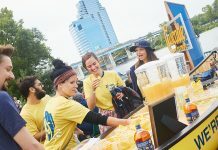 Yet despite all this, spirits run high at the event as it serves as the first taste of the river season for all the eager boaters. All the more reason for skiers and snow kayakers alike to pray for more snow next year!